This week, we have opened up a new online proofreading project. 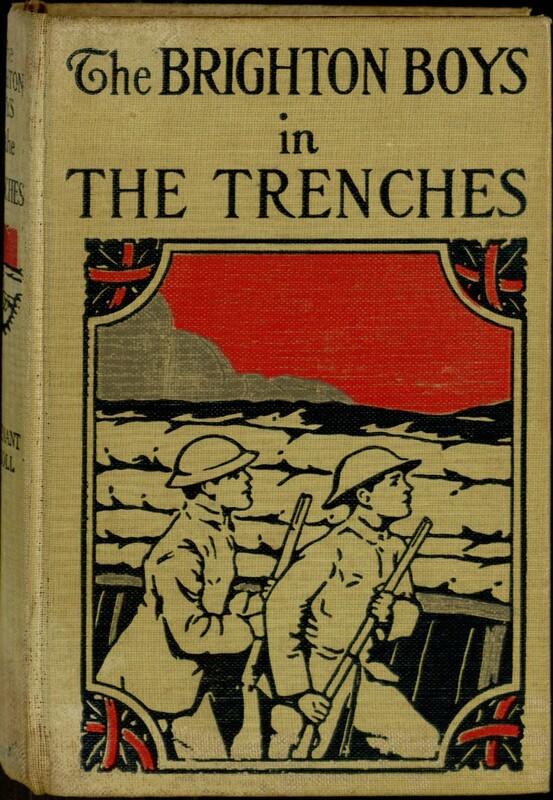 The Brighton Boys in the Trenches is part of a series of American children’s novels written during World War I portraying (and glorifying) the battles overseas. 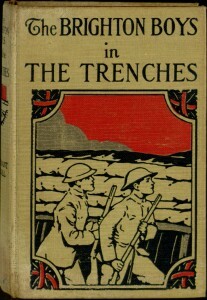 While a lightweight children’s story about trench warfare is hard to imagine today, these types of violent adventures were popular during both of the World Wars, and quite a few were published. More information on wartime children’s fiction, as well as essays on other interesting trends in popular culture, can be found in two essay collections in Falvey’s stacks: Pioneers, Passionate Ladies, and Private Eyes and Scorned Literature. This project is Villanova’s first contribution to Project Not Quite Nancy Drew, a subset of the Distributed Proofreaders effort which focuses on preserving vintage children’s series fiction. You can visit the PNQND page to find other similar projects currently in progress as well as links to completed eBooks (including other books in the Brighton Boys series). As always, you can help with our proofreading by visiting the Brighton Boys in the Trenches project page, and you can learn more about the proofreading project from our earlier blog post on the subject.